This exercise can help you develop a broad understanding of the risks and opportunities climate change may bring to your markets, your physical assets, your supply chains, your investors and your workforce. Equally important, it examines actions you can take to meet the challenges resulting from government action against climate change: implementing the Paris Agreement and working for a rapid transition to a low-carbon economy. 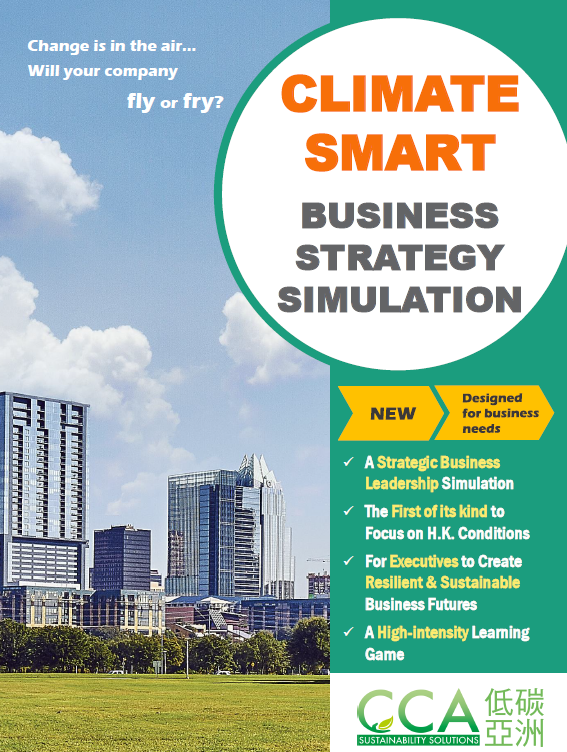 In this training session you will be developing an understanding of the cause and effect of critical business decisions that will affect your company in a world of climate change impact, mitigation actions and adaptation plans.